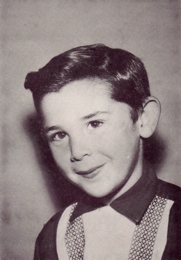 Remember that little boy I wrote about who went missing in California in 1960? I called his mother and it went terribly? There is an incredible update to this story. Another writer, Weston DeWalt, who was investigating another boy who went missing in California, Tommy Bowman, actually came across new evidence! Now the LAPD Cold Case Squad is investigating a serial killer named Mack Ray Edwards for murdering Tommy, and they’re also considering him for the murder of Bruce Kremen and up to 13 other children (I think that’s the total, but I could have that wrong). I believe the LA County Sheriff is part of the investigation, or maybe it’s a joint investigation — I don’t understand the jurisdictions out there, I’m sorry. There’s an article about everything here and an update here. It’s an amazing story. Ultimately horribly sad, but just amazing what DeWalt has uncovered and now look what’s happening. I had originally called the Missing Person’s department of the LAPD, to ask where the case was left, figuring my section in the book would end with something sad like “the last lead in the Bruce Kremen case was over forty years ago.” But then Missing Persons told me the Cold Case Squad was working on the case. I got very excited, because I knew that meant a new lead. The detective on the case, Det. Vivian Flores said she’d call me back, and then recently I got email from DeWalt telling me what had happened. Weston DeWalt, by the way, wrote a book with Anatoli Boukreev called The Climb, which was written as a rebuttal to Jon Krakauer’s book Into Thin Air. I remember reading a debate on Salon about the two accounts, and it was positively riveting. When he wrote me I immediately thought of the movie Zodiac, which I had just seen. The movie shows how obsessed this cartoonist, Robert Graysmith, gets with the case. It also shows how Graysmith, unlike the cops who have lots of other cases to investigate, can put everything he has, all his time and energy into this one case. He can live and breath this one case. I experienced this with my last book. I became obsessed with one of the unsolved cases I was writing about, and unlike the detectives, who were working 15 – 25 cases each, I could concentrate on one. So that’s how I imagined DeWalt, like Graysmith. The LA cops have a kabillion other cases, never mind one more than forty years old, so he could dig deep in a way that was simply not humanly possible for them. Except now I’ll bet Det. Flores is living and breathing this case. I can’t wait to see where this all leads, and read DeWalt’s book about it, which I think he said will be out next year. Those missing kid stories are getting my interest too. The supposed killer, Mack Ray Edwards lived in and around the San Gabriel mountains in the 50s and 60s. He showed the authorities where he had buried some of the bodies but the authorities in the 70s couldn’t find them. Nowadays they have ground penetrating radar, maybe they should re-search those areas with modern equipment. This story needs a full-blown one hour TV special.